Splash About Swimwear & Equipment offers stylish and safe swimwear for your infant or toddler. Unique designs and affordable pricing are a bonus to seeing your child enjoy the wide world of water play. 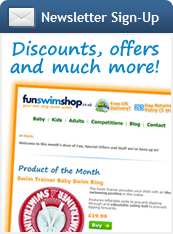 Safety for our children shouldn't stop when we need to dress them in swimwear, and the people at funswimshop.co.uk understand this very well, by offering the Splash About line of swimwear. 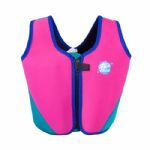 With items like the Splash About Float Swim Jacket for boating, or the Splash about Sun Proction All in One Suit. This line offers comfortable swimwear for your child, and peace of mind for you. The Frou Frou Girls Costume Top will have you baby girl looking like a princess, all the while costing you practically nothing. The shipping is super fast, and very reliable, hassle free, and safe. 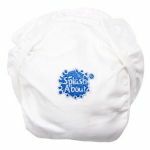 The Flushable Nappy Liners and Splash About Happy Nappy are great for taking your infant to the pool, making your day easier and your childs day more enjoyable. The UV Bucket Sun Hat is a great way to keep the suns harmful rays from touching your child's head, and its baby blue color looks great on girls and boys. With Splash About, you can help your child learn how to swim, with the life jacket or pool noodles. Splash About also has the new Baby Wetsuit, providing protection from cuts while swimming in style. Splash About is all about safe, comfortable swimwear for children, and making swim time fun time. 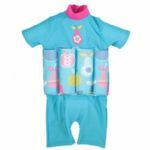 Affordable pricing and shipping, and fast delivery make Splash About one of the best outfitters for infant swimwear, and the leader in summertime fun for the family.